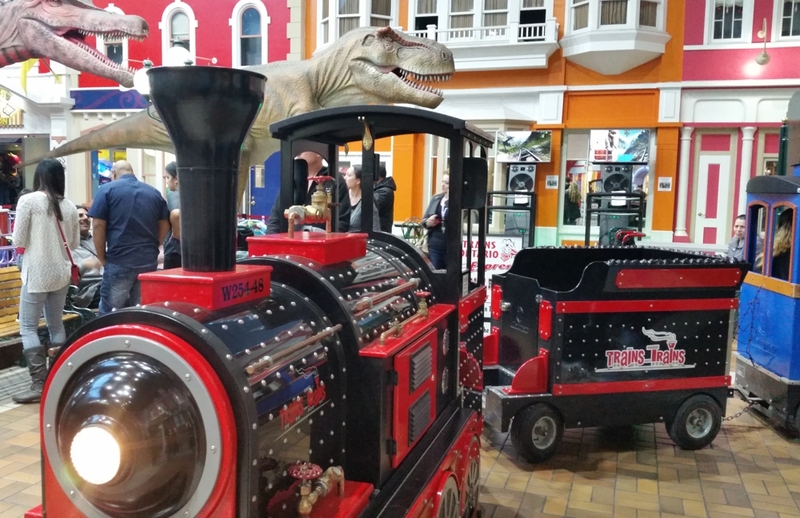 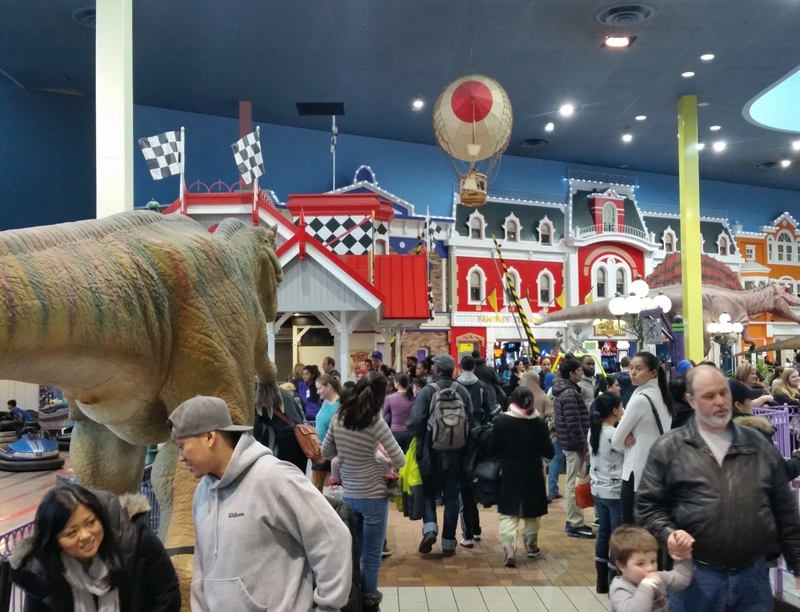 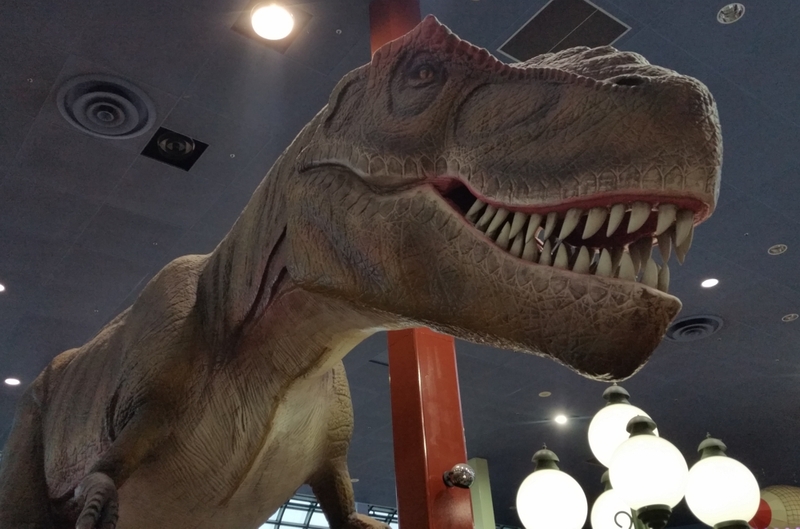 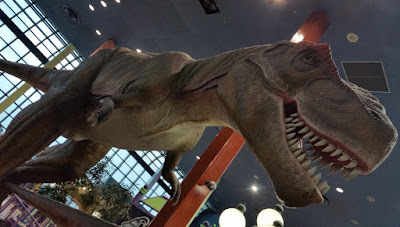 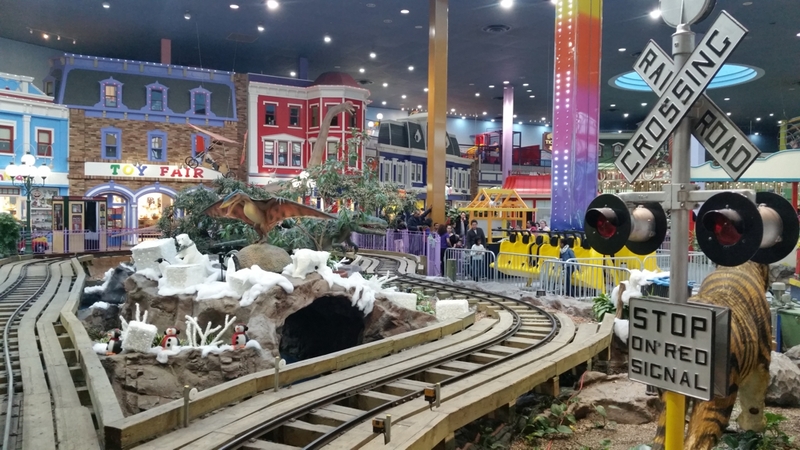 Woodbine Centre Mall in Toronto has Ontario's largest indoor amusement park and it is full of rides and dinosaurs! 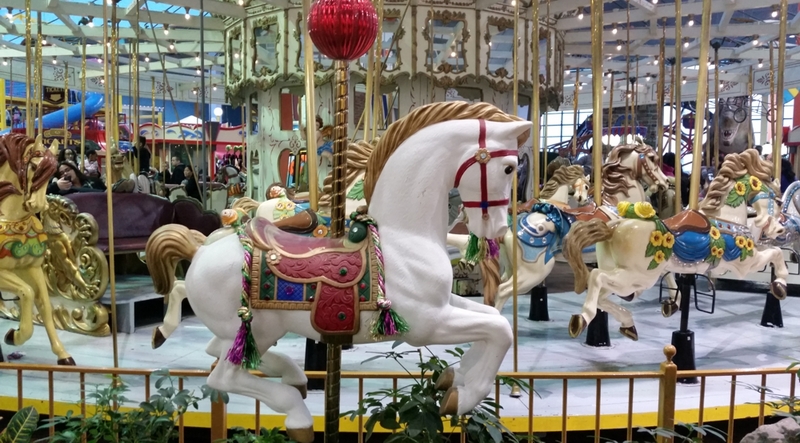 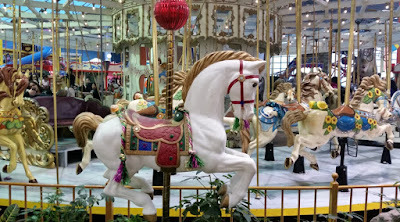 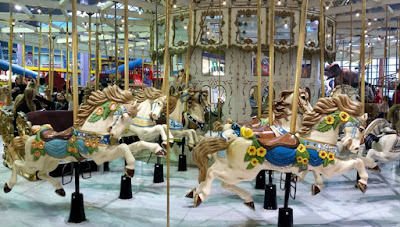 Its been awhile since I have been to the shopping centre in the northwest part of the city at Rexdale and Highway 27 - just across from Woodbine Racetrack, and I was impressed with the fair. 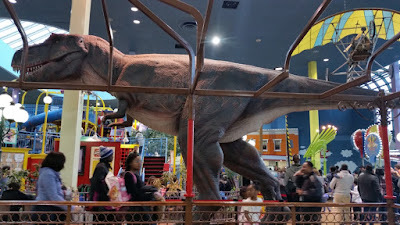 The large dinos are new to me and I think they are pretty realistic. 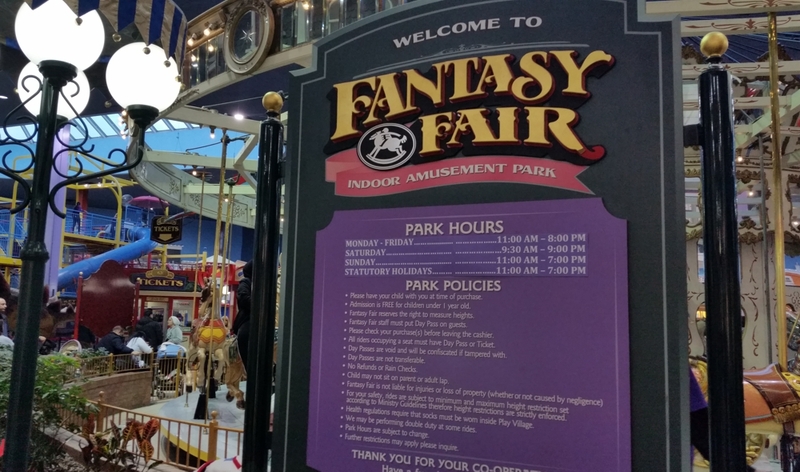 The fair opened in 1985 and there are 12 attractions that has seen over 8 million guests play on rides like an antique carousel, a Ferris wheel and bumper cars. We came to the mall to go see a movie at the Imagine Cinemas, check out the fantasy fair and a few stores, then head over to the racetrack for a little gambling on the slots and later betting on the ponies at the track. It was a good night and I won tens of dollars, finally.